I was going to try to put this all in one post, but the Lion from Violet Craft is so amazing that it didn’t seem fair to the other quilts to have to follow it! 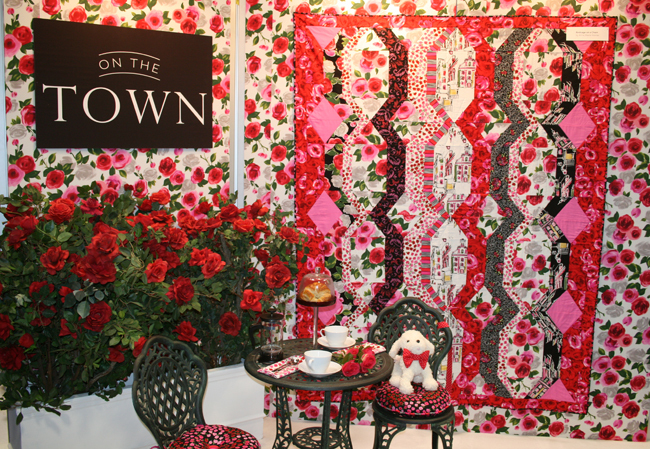 Plus, the Michael Miller booth had SO many great quilts I want to share as many as I can with you. 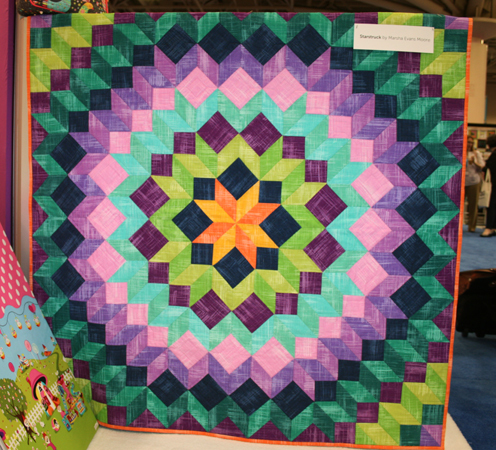 This quilt pattern is King’s Cross by Tara Faughnan and it was quilted by Terri Carpenter. You can find directions for this pattern on the Michael Miller website. The fabrics are from the Melodies line by Sarah Campbell. 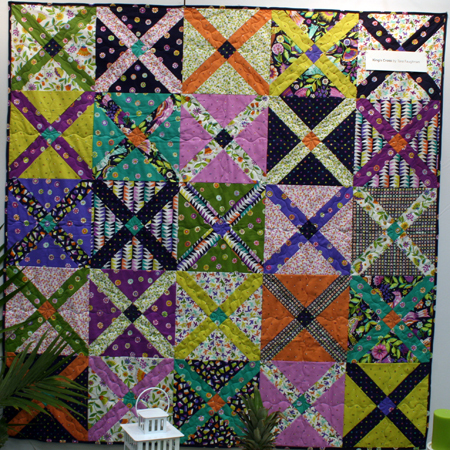 This quilt is called Starstruck and is by Marsha Evans Moore using fabrics from the Painter’s Canvas collection. You can find the pattern and instructions on the Michael Miller website as well. 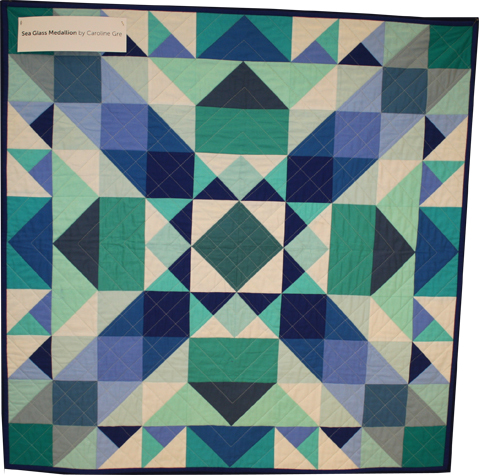 This quilt is by Caroline Gre and is called Sea Glass Medallion. If you want to see more pictures (and you do, trust me) or buy this pattern, check out Nightingale Quilts. Here’s the last one for today. The quilt is Birdcage on a Chain by Anna Maria Horner. It’s made with an assortment of Michael Miller fabrics. Fabric info can be found here and the quilt pattern can be found on Anna Maria Horner’s website here. Anna Maria has been kind enough to share lots of patterns, so check those out as well.